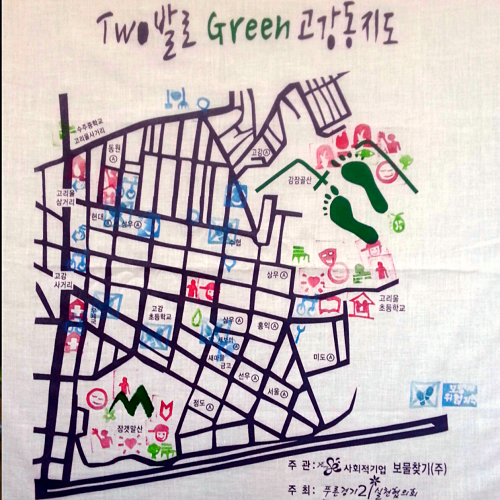 In August 1996, the very first Green Map using the Green Map Icons was published in Copenhagen! The wonderful ECOPENHAGEN Map was printed in both Danish and English by Ecooperation, and became a popular resource. Special thanks to Niels Peter Flint, co-founder of O2 Global Network, who initiated this project and guided its first edition - download it here. 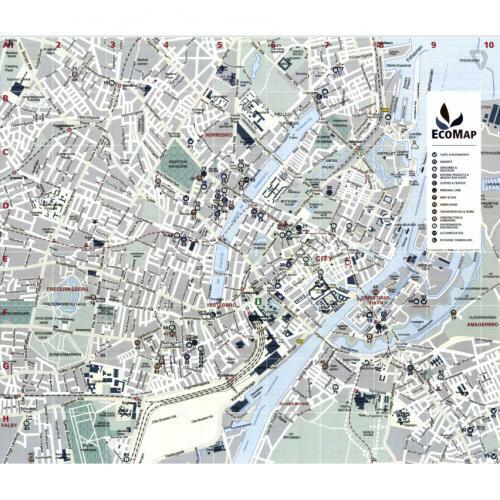 In June 1999, a brand new edition called the EcoMap was published in both printed and digital formats by a new team headed by "chaos-pilot" Cecilie Hagested. Illuminating the best eco resources of Copenhagen, it is quite different from the first edition, yet maintained very high sustainability standards, with printed criteria and an advisory board. 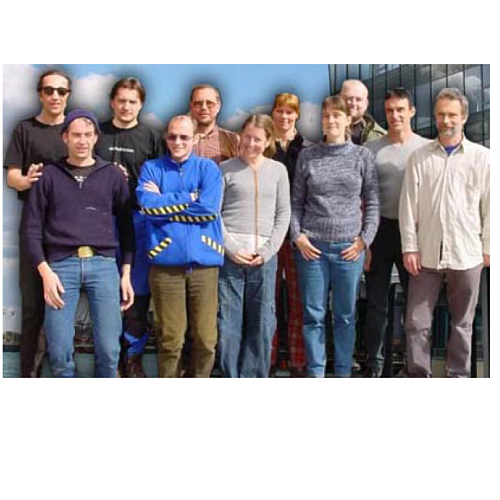 The website and project continued to grow, and May 25, 2000, marked the third edition's launch in both formats! Although you can no longer visit EcoMap.dk and tour a rich array of sites, the events calendar and other resources online, an image is above. Both Danish or English editions were produced and until supplies ran out, you could even pick up a copy at the Information Desk at the Copenhagen airport and explore the city's green side from the moment you arrived! 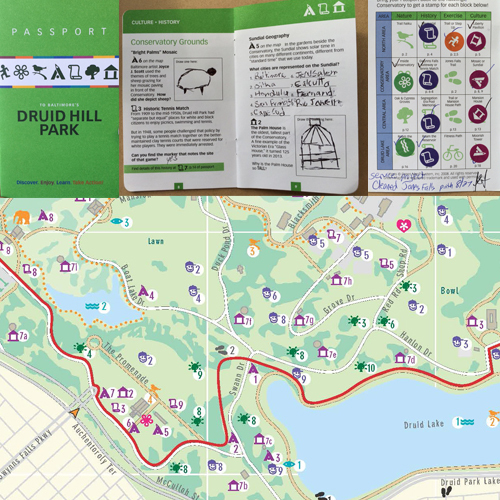 In March 2002 production of another edition of the Eco Map was initiated and in August, the 4th edition became available, on paper and online, with a sophisticated new look with more in-depth information - copies were shared at our Green Mapmakers' summit at Bellagio. 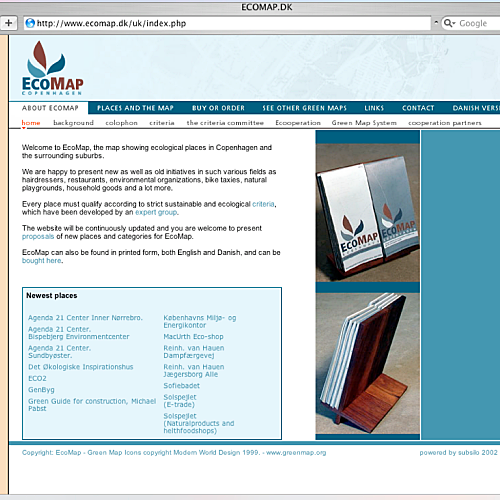 In 2003 we posted the comprehensive criteria developed for the EcoMap to this website for others to learn from, as these standards were excellent and readily understood by Green Map users. The team in Copenhagen, including Cecilie Hagested and Monika Wallgren, hosted the second European Green Mapmakers gathering in the city's new green Environmental Department complex, making an important contribution to the entire movement. Now, there are exciting plans taking shape for the next editions! Find out more about our history and collaboration with Copenhagen, and future plans, too.